This is for sonictopfan. Enjoy! The high liter got on Sonic's ear. Oops! Well,that's how I draw Sonic. 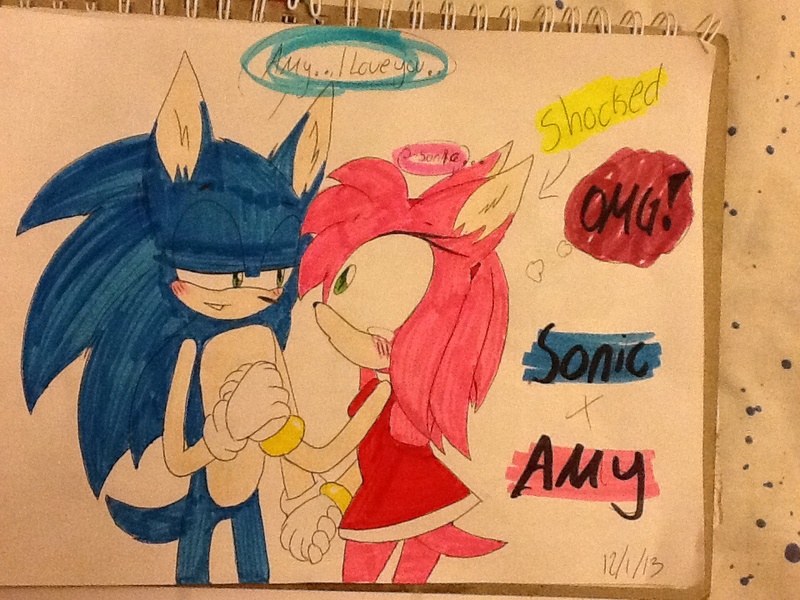 I don't like sonamy but I do think its a cute couple! Ya there a cute couple!